UOC Open House and WesWard Launch Party! 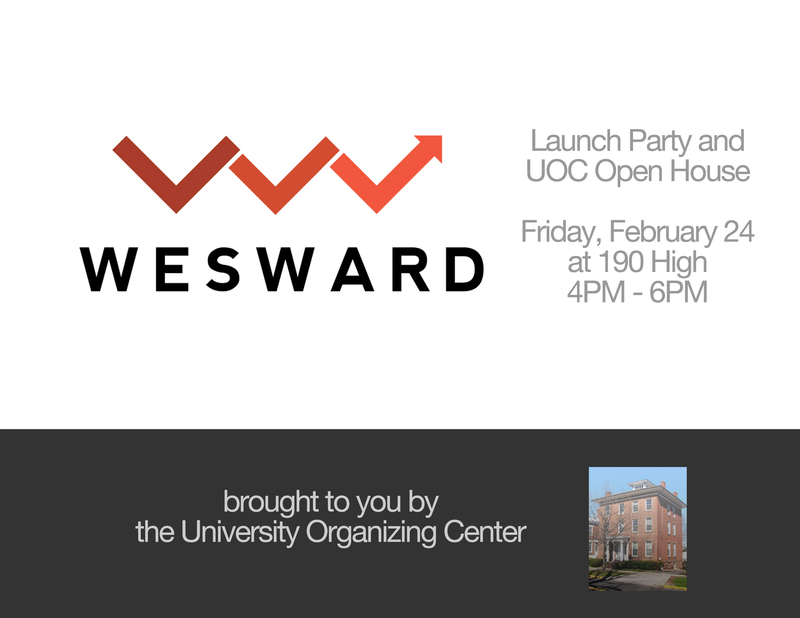 Stop by 190 High this Friday anytime from 4-6pm to learn more about the University Organizing Center and celebrate the unveiling of Wesward, a brand new blog that aims to serve as an online hub for Wesleyan activism. Haven’t been in the UOC in a while? Come make zines, buttons, and other things too. Or come check out the Hermes archives, our brand new art room, and expanded zine library. Or come learn more about Wesward and sign up to blog. Or, just come for the snacks. Posted by izmasterflex in Campus Life, Events, Food, General, Internet and tagged University Organizing Center, WesWard on February 21, 2012 at 4:47 PM.